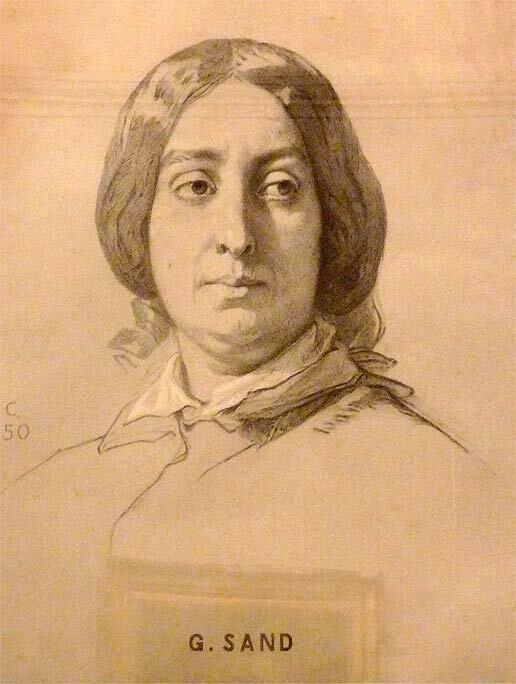 Muddy Loafers: GEORGE SAND - LADY WITH THE PRODIGIOUS PEN. GEORGE SAND - LADY WITH THE PRODIGIOUS PEN. A holiday in Majorca, the Isle of Love, is never complete without a visit to the Cartusian Monastery at Valledemossa. A bus journey along the coast line from Playa de Palma to Valldemossa is a thrilling experience which takes all of ninety minutes. Cell No. 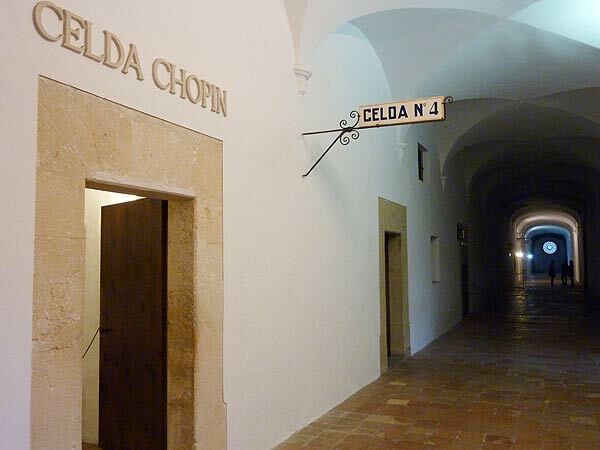 4 in the monastery is the room where the famous writer George Sand wintered with her lover the musical genius Frederick Chopin, between 1838 and 1839. It is a modest room with essentials of furniture and his Pleyel Piano standing in one corner. Chopin was already suffering from Tuberculosis and George nursed him like a devoted mother. Chopin however, resented her oversolicitude. They quarreled frequently, and in her story “Winter’s Tale,” published in 1841, she was frank about their tempestuous life together. They parted company after eight years of living together. Ironically it was her daughter who brought about their rift. Baroness Aurore Dudevant was a French novelist, who preferred to go by the name of George Sand. She was born in Nohant in central Paris on 1st July 1804. She lost her father at the age of four, and was brought up by a flighty mother. George had a broad education and was familiar with the literary works of Shakespeare, Rousseau, Homer and others. But George was unlucky in love. Married at the age of 18 to Baron Cashmere Dudevant, she bore him two children. She was a dutiful wife until she discovered he was an adulterer. She left him in 1831, and moved to literary quarter of Paris, where she plunged into a Bohemian lifestyle for the next five years. She took the name of George Sand, dressed like a man, smoked, drank and rubbed shoulders with the literati like Dumas, Balzac and Hugo and several other artists. Like the heroine in her third novel “Lelia” she was forever in search of an ideal man. She was attracted to younger men like Jules Sandeau and Alfred de Musset who broke her heart by being unfaithful to her, and the composer Chopin, who made the best of her hospitality at Nohant, where he composed his haunting nocturnes, melodious preludes and Sonata in B Flat minor. George now realised that she was wasting her time on men. She would rather shower her love on humanity. Her writing became more humanitarian. She envisaged a classless society where people would live together in love. She was back in her natal home at Nohant. In her pastoral idylls like “The Haunted Pool” (1890) and “Francis the Waif,” (1889) she advocated a return to the soil where one could find peace, virtue and happiness. At the outbreak of the Revolution, George offered her services to the provisional government and wrote many articles for the Bulletin of The Republic. But after the repression that followed, she once again retired to Nohant. Many of George’s books dealt with women’s lives, loves, marriage and divorce. She stood for equality of the sexes and property rights for women. During her lifetime, she wrote hundred books and twenty five plays. She could cobble together 3000 words per day and was said to complete a novel within a month. Her advocacy of Romantic Feminism did not endear her to the conservative society of her day. But her books are popular among analysts of Feminism even today. Her first book ‘Indiana’ published in 1832 was the story of a woman’s escape from a stifling marriage, to live with the lover on a primitive island. George Sand was truly a woman with a prodigious pen. Though she was from an aristocratic family, she was kind hearted and hospitable to all around her. She died at the age of 71 years at her home in Nohant, on June 8th 1876.